Rico, Colorado, the historic silver mining town turned Telluride bedroom community. This post could have been titled: “Snow Patterns, Forests.” Except that it has a bit wider scope. Dogwood shrubs on the Dolores River riparian area, San Juan National Forest. It was up the Dolores River valley, from the town of Dolores (after another juicy, giant hamburger at the Depot) to my favorite Colorado mountain town, Rico (elevation 8,800 feet). Where the Enterprise Bar and Grill was not open (only on weekends during the winter), otherwise I would have had a delicious meal there instead. Colorado Blue Spruce sapling, Dolores River. Rico is surrounded by the San Juan National Forest. As you drive up the Dolores River on Highway 145, much of the access to the river is blocked by private landownership. That is, until you get within the boundaries of the National Forest, where there is much more access. Upper Dolores River, only semi frozen in January. So I stopped to photograph snow-laden shrubs and tree seedlings. Higher up, the patterns of the spruce-fir forest from across the valley attracted my attention. Snowy Spruce-Fir forest above Rico, Colorado. And stands of aspen trees, too. Aspen forest during a winter storm, San Juan National Forest. Then I was startled to see a herd of elk on the hillside above the highway. Why? Because they were yet another indication of how little snow has fallen up here so far this winter. Normally the elk would be much lower, down out of the high country. But not yet. Elk herd, way higher in elevation for January than normal. Soon I was all the way up to Lizard Head Pass. My favorite area. For the high mountain meadows and clear alpine streams. And for the lofty mountain peaks…that were shrouded in clouds on this visit. Alpine meadows at Lizard Head Pass. Photo location: San Juan National Forest and Uncompahgre National Forest, southwest Colorado. Lizard Head Pass, elevation 10,222 feet (3,116 meters). See much more of my photography, and order prints, at my website www.NaturalMoment.com. Sunset time light on the cliffs at the edge of the Mogollon Rim, from Schnebly Hill Road above Sedona, Arizona. Sunset from the Blue Mesa Trail in Petrified Forest National Park, east of Holbrook in northern Arizona. Lipan Point on Grand Canyon’s South Rim has sweeping views, including being able to see a portion of the Colorado River far below. At sunset time the canyon bottom is in shadow, while the cliffs called the Palisades of the Desert are still lit up by the low sun. 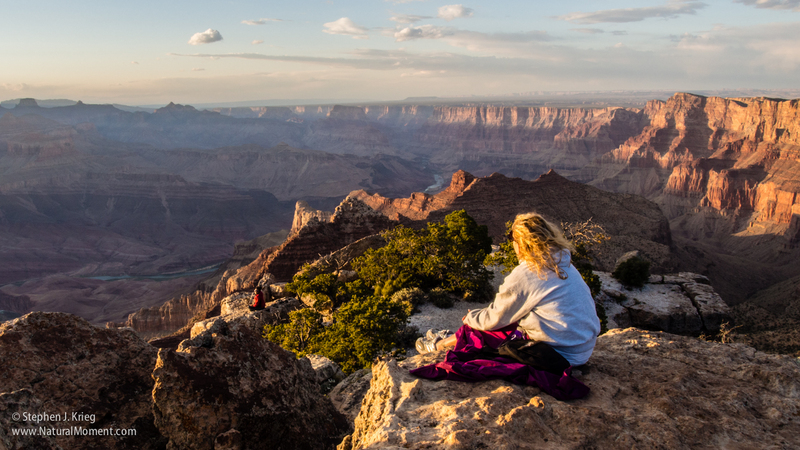 Photo location: Lipan Point, South Rim, Grand Canyon National Park, Arizona. Lees Ferry on the Colorado River in northern Arizona is where all boats running Grand Canyon put in to the river. From here the boats have to go the whole way down before they can come back off the river. Lees Ferry is also one of the most scenic and historic spots in the American Southwest. A natural break in the cliffs allows access by road, off of Highway 89A at nearby Marble Canyon, on the Arizona Strip. On the east side of the river are the Echo Cliffs (visible across the river at center and left), on the west the even taller Vermilion Cliffs, which in this photo are visible in the purple-haze distance at far right. In this three-shot merged panorama photo, professional river guides with Canyoneers, Inc. are rigging up their boats for another two week oar trip through Grand Canyon National Park. Canyoneers, out of Flagstaff, Arizona, is the oldest Grand Canyon river running company. At far left is the historic wooden cataract boat the Sandra, the last boat built by Norman Nevills, who invented commercial river running as Nevills Expedition, the company from which present-day Canyoneers is descended, celebrating 75 years of continuous operation in 2013. The orange boats are modern 18-foot inflated rubber Avon rafts. Thus a Canyoneers oar trip is an experience in Grand Canyon river running history, with modern safety and relative convenience for such a world class wilderness trip. Running Unkar Rapid on the Colorado River in Grand Canyon National Park, Arizona. Unkar Rapid is not one of the largest rapids in Grand Canyon, but it is one of the most scenic, with wide open views. Enjoy a refreshing minute on the river, with sun and water in your face! 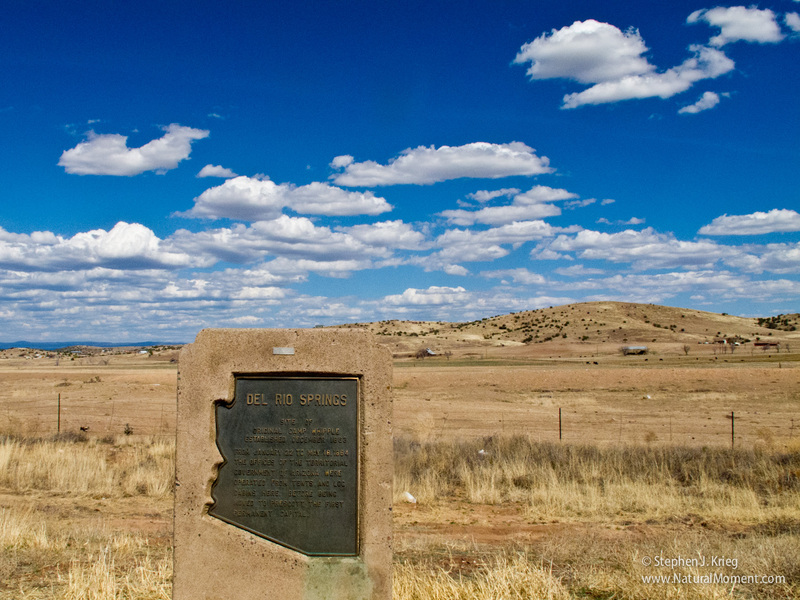 This monument along Highway 89 in the central Arizona highlands is near the site of Camp Whipple, an Army Calvary post at which the first territorial government of Arizona was established in 1864. It’s located just north of the town of Chino Valley in Yavapai County, about 15 miles north of the present county seat, Prescott. Lonesome Valley. Such an evocative name. 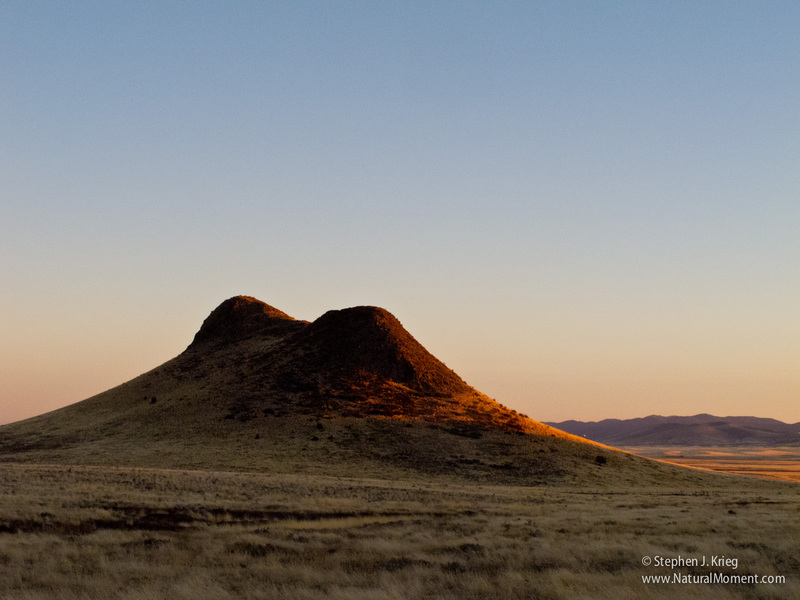 The locals don’t use that name for this portion of the Prescott Basin in the Central Arizona Highlands, because it’s no longer as lonesome as it must have been to whatever settler coined the name, perhaps back in the late 1800s. But there is still lots of wide open country and big-sky views here. Ranches and National Forest land. The Black Hills to the east and upper Verde River to the north. Lonesome Valley. It suits me fine.